I happened to find it in the most likely spot too. 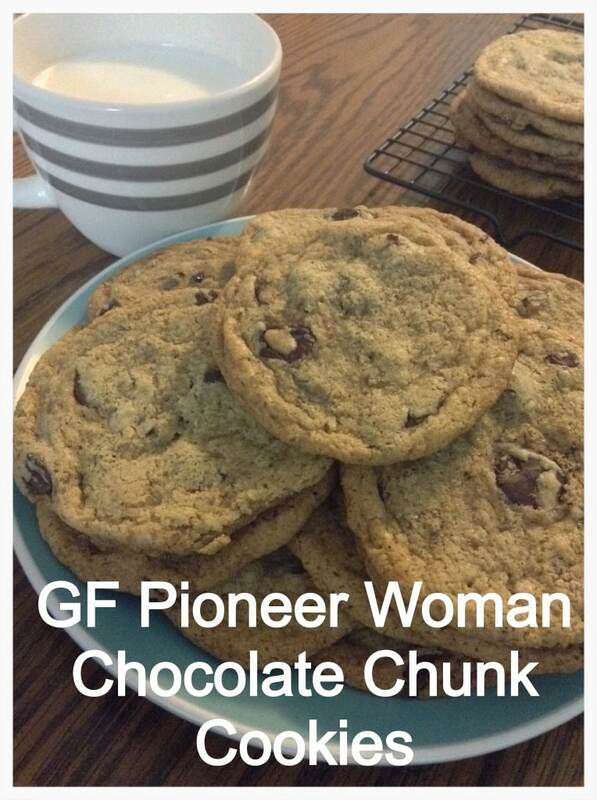 If you haven’t heard of The Pioneer Woman (gasp), then you’ve really been missing out. She posts amazing recipes that are almost as fun to read as they are to eat. If you are familiar with Ree Drummond (Pioneer Woman), then you know how good her recipes are. 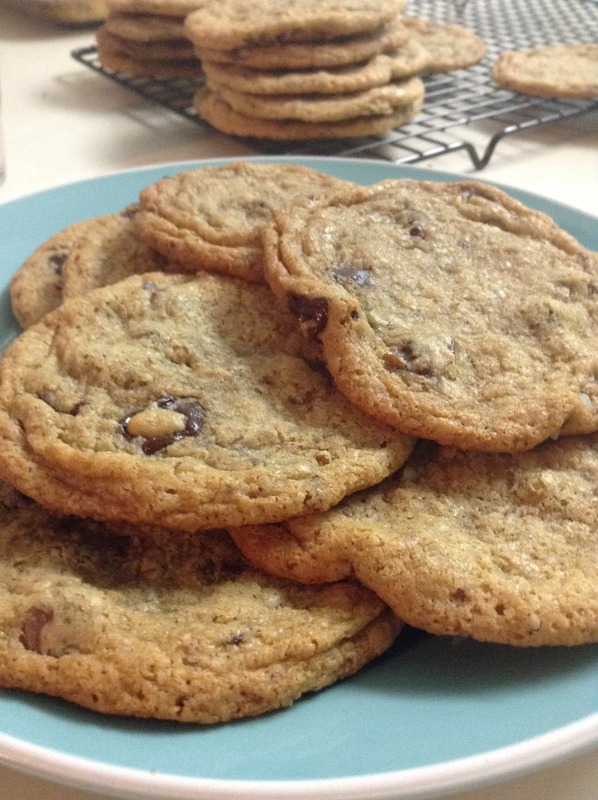 Either way, you should be equally anxious to try out my gluten-free-knockoff of one of her best cookie recipes. I found it floating around FB a while back and gave it a shot last weekend with Cup4Cup flour. Making cookies is pretty much the only time I stray from my homemade flour mix. Cup4Cup simply turns out too good of a gluten-free cookie, so I always keep a bag on hand just for that purpose. 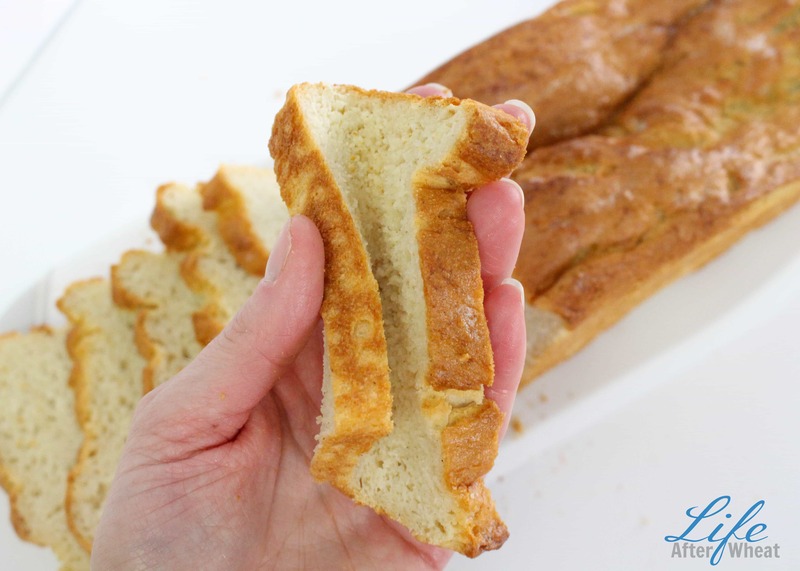 If you try using a different flour, let me know how it turns out for you! Don’t be intimidated by the slightly longer list of instructions. I finished dinner before the rest of my fam and had them in the oven by the time every one else had cleaned their plates. It’s all well worth it, I promise. 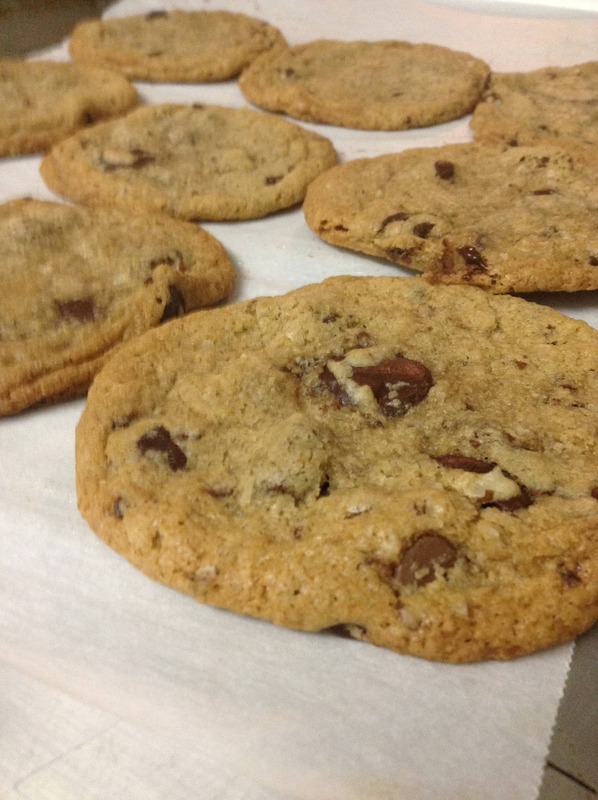 And don’t skip the browned butter part, it’s what makes the cookie! 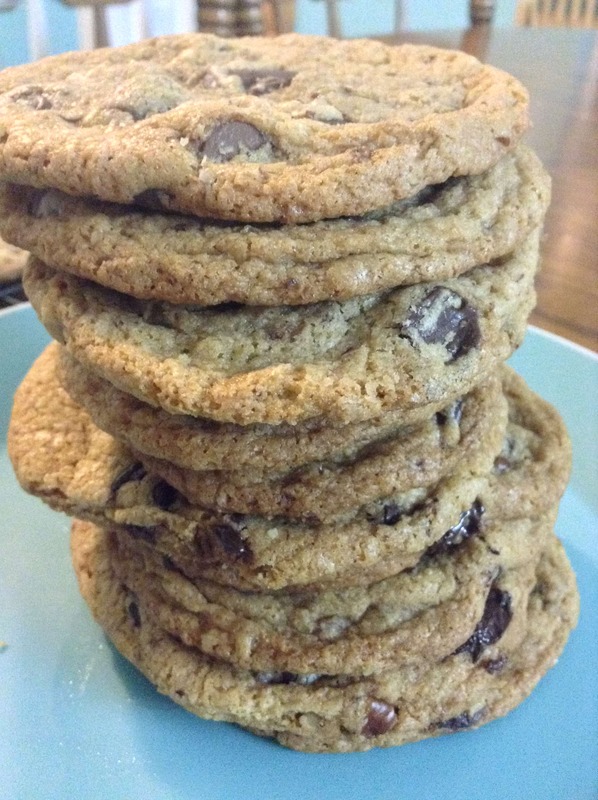 I recommend using a lighter flour blend such as Cup4Cup for cookies. Add 1 tsp xanthan gum if flour mix does not contain any. Set out 1/2 cup (1 stick) butter to soften. Heat butter over medium heat until melted. Continue to heat, stirring occasionally, until butter turns a golden brown color on the bottom. Watch it closely, as there is little time between browned butter and burned butter. Just before it is done, you will smell a nutty aroma. Mix softened butter and sugars in a stand mixer (such as a KitchenAid) 1-2 minutes until fluffy. You can also use a hand mixer for this. Add browned butter, being sure to scrape all the brown flecks into the bowl as well. Mix until creamy and fully incorporated. Add baking soda and flour and mix 30 seconds. Dough will be a thick, spoonable consistency. It will be slightly sticky but that’s ok. You should be able to almost roll it into balls. Spoon 1-2 T at a time onto a cookie sheet lined with parchment paper, spacing cookies about 3 inches apart. Place cookie sheet with cookies in the freezer for 10-15 minutes.I put mine in the deep freeze for 10. Bake cookies 8-10 minutes. They should be fairly browned on the bottom. Let cool-if you can wait that long! Store in an airtight container. They tasted great the next day and also freeze well.